Online Learning provides an option to school districts as they face increased requirements, limited resources, shortage of personnel and scheduling conflicts. Online Learning takes place using the internet and is personalized and highly flexible. 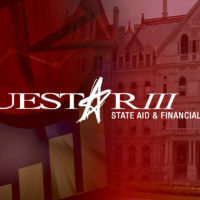 Questar III currently works with 5 different vendors providing course options to schools for credit accrual and credit recovery.